Foil Balloons, Latex Balloons - Round, Orb and Supershapes, to compliment every party. Foil Balloons require helium for inflation. 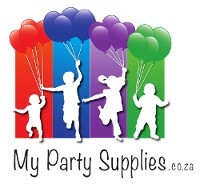 Latex balloons in various colours with various prints to suit your balloon decor and party supplies. Shaped Foil Balloons - great variety. A must have party accessory. Balloon decor ideas. These balloons are meant to be filled with Helium. Disposable Helium canisters are available for sale too! Pretty balloon weights in various colours. stop your balloons from floating away. to hold balloons in an upright position.